Portions of Duval Street in Key West that were once dry after rainstorms now flood. 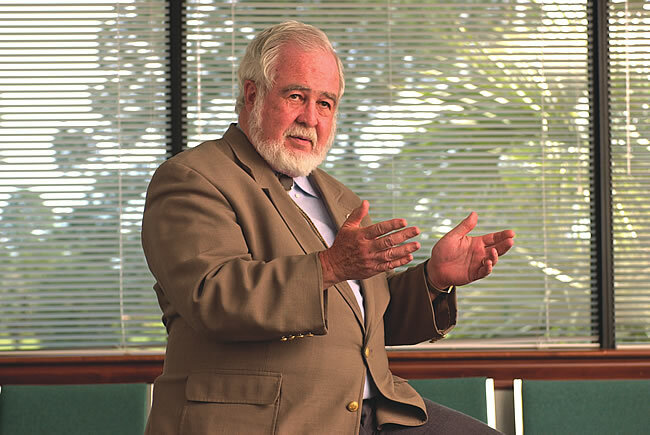 FSU professor emeritus James O'Brien doesn't believe the dire predictions some scientists are making about sea level rise. Even a small amount of sea level rise will have side effects far beyond disappearing shorelines. For more than 100 years, scientists at the National Oceanic and Atmospheric Administration have monitored tide gauges placed along Key West’s western shoreline. The precise gauges, among the oldest in the country, indicate that over the last century, the sea has risen by nearly nine inches at Key West. 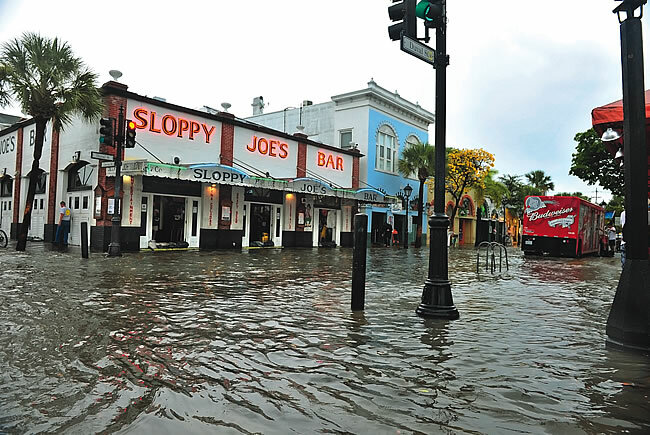 The effects in the Keys are familiar to residents: Low-lying areas such as the northern part of Duval Street, which once were dry after rainstorms, now flood regularly. Low seawalls are often crested by high tides. Whether human activity is causing changes in the climate or whether the changes are part of a natural cycle, most scientists believe the oceans will keep swelling — and that the rate of sea level rise will increase. In Florida, with 8,426 miles of tidal shoreline, the prospect is more than academic. 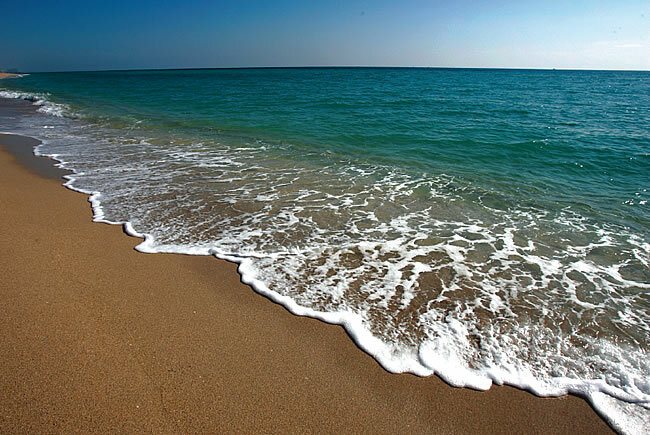 More than 75% of Florida’s population lives in a coastal county. Estimates vary as to how high the sea will climb in the next 30 years. In Florida, one of the most widely cited estimates of sea level rise is based on a study by the U.S. Army Corps of Engineers and projects three to seven inches by 2030 — 17 years from now. 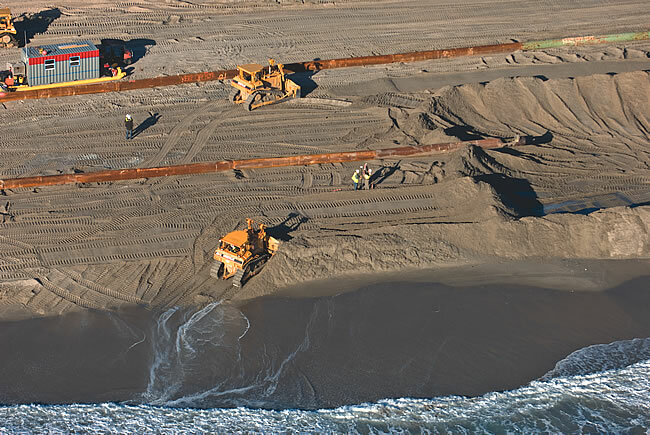 Governments and planners are beginning to take the sea level rise seriously. 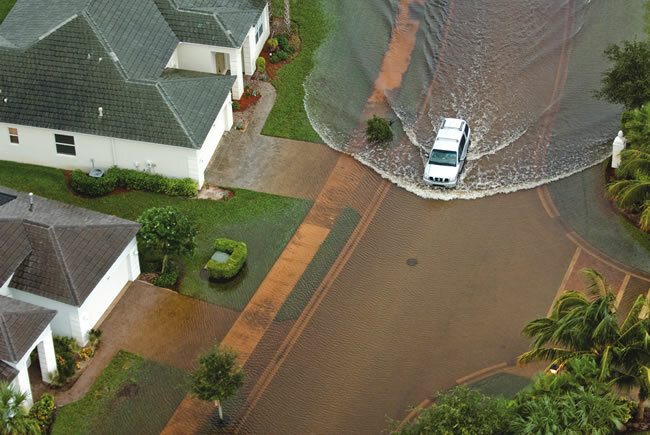 The Tampa area, Punta Gorda, Satellite Beach in Brevard County and northeast Florida have all commissioned sea level rise studies. 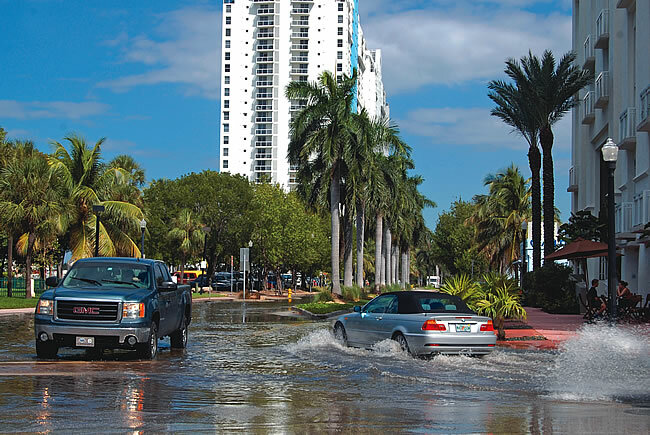 Four south Florida counties, Broward, Miami-Dade, Palm Beach and Monroe, have adopted the Corps’ estimate as part of a “climate change compact” that describes the impact of sea level rise and how they may have to respond. Even a modest increase has big implications in some places, and the problem of lost shoreline is only the beginning — the most difficult challenges come because sea level rise amplifies many problems that Florida communities already face: Flooding during rainstorms, storm surges from hurricanes and saltwater intrusion into aquifers. In the stories that follow, Florida Trend looks at the various problems associated with sea level rise, how some communities in Florida are responding and what it costs them.